Our Ottawa Valley office is located in beautiful Pembroke, Ontario. We service many Ottawa Valley locations from this office from Arnprior to Deep River. 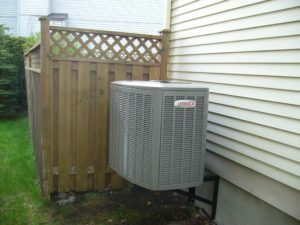 AirZone HVAC Services is a heating and cooling company that services the Ottawa Valley including Pembroke and Petawawa. AirZone is committed to providing high quality furnaces, air conditioners, and other HVAC equipment to consumers with a strong focus on customer service and expert workmanship. We provide our services to residential and commercial customers. Our goal is to provide total indoor air comfort with equipment that is installed right the first time and will provide many years of dependable service. When you choose to work with us, your HVAC installation and/or service is backed by our “Quality you can trust… Guaranteed!” written commitment to our customers. We are a licensed and insured HVAC dealer who consistently provides the highest level of customer attention and satisfaction. AirZone has a strong history of workmanship in the Ottawa Valley. We are happy to provide references for our work and maintain an A+ Rating with the Better Business Bureau. At AirZone, we are strongly invested in the Pembroke community. Our owners live in the Pembroke area, and are dedicated to giving back through community outreach, sponsorship, & discounts for seniors and military members. We are committed to hiring local workers and providing the best possible service to our clients. 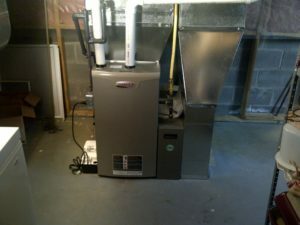 We specialize in retrofit installation of gas and oil furnaces including oil to gas conversions. Our furnace products range from single stage all the way up to variable speed modulating products. This allows us to offer quality products that will satisfy many different budgets. Our most popular furnaces come from Lennox, American Standard, and Amana. AirZone offers furnace diagnostics and repair services along with our new installations. Our diagnostic service provides an analysis of your furnace system for a fee and does not lock you into using AirZone. We will provide a quotation for any required repairs with a no pressure approach. We stock our fleet of vehicles with the most common repair parts for furnaces allowing you to get up and running as soon as possible. We also provide 24 hour seven days a week emergency furnace service. With a full lineup of central air conditioner products from American Standard, Lennox, and Amana, AirZone is able to provide volume pricing on the most desired air conditioner systems perfect for homes in the Ottawa Valley. We have many advanced features available including some of the most efficient products that will save you money each month on your utility bills. Our air conditioners offer excellent dependability and performance all backed by industry leading warranties. If your AC is in need of repair, our technicians are standing by to fix your unit right the first time. We also offer annual maintenance packages that allow you to save and receive priority service. Our packages also include annual maintenance to ensure your system is running at its best. One of the best things about living in the Valley is having your wood burning fireplace running blasting out heat in the winter. A fireplace can create a warm and cozy environment along with heating many homes and cottages in the area. It can also help to offset your utility costs when paired with a furnace or other type of heating system for your home. We provide new and retrofit installations of gas and wood burning fireplaces. We are a dealer of Monessen fireplaces and Majestic fireplaces. 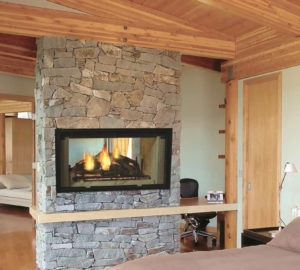 Our manufacturer’s products include fireplaces, stoves, gas logs, and outdoor products. We also supply fireplace accessories as special orders for our clients. AirZone also regularly services fireplaces and has annual maintenance program available to ensure your system is running safely for your family. We encourage you to contact us today to make sure your system is running at it’s best! 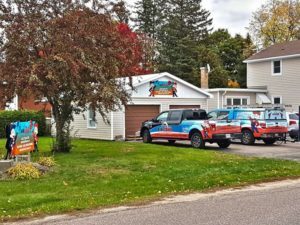 As part of our commitment to the Ottawa Valley, AirZone HVAC Services partnered with JW HVAC to allow for the company owner to pursue other commercial HVAC endeavours. We wanted to ensure that JW’s residential customers were taken care of which is why we made this partnership. We are thrilled to welcome past JW HVAC clients to the AirZone family, and would like to let you know that we are here for you to provide honest and reputable furnace, air conditioner, and other HVAC services from a name you can trust.